in the worship of Ram. 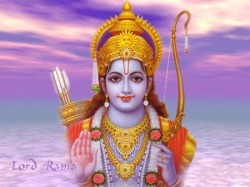 Ram Navami is the festival of masses. union of Shiva and Narayana. "Shri Ram, Jai Ram Jai Jai Ram".